Local people in Shan State South’s Pa-O self-administered zone are reportedly being forced to cast vote for Pa-O National Organization (PNO) by the party candidates, local sources reported. 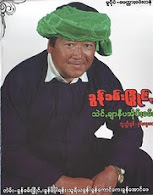 On 19 October, U Nay Win Htun, a well-known businessman-turned-candidate for upper house in Pa-O self- administered zone was reported to have directed local people in Pongae village tract in Hopong that everyone must vote for the party, otherwise each villager will be asked to pay Kyat 50,000 ($50), according to a villager whose relatives are PNO members. Apart from Pongae, similar reports have been received from other areas in Loilem township, where a sizeable population of Pa-O live. The border-based Pa-O Youth Organization (PYO) also agreed that people in some areas were being forced to vote for either the party or for junta-backed Union Solidarity and Development Party (USDP). The PNO, the former ceasefire group, will be competing in Hopong constituency, which is impacted by the Pinpet iron project of the ruling military. But the party has not raised any public concerns against the project even though it will contest in the areas, said PYO spokesperson Khun Chan Khe. “The project is destroying the future of people. If they are standing for election, the PNO should protect local people’s rights and speak out to oppose the project,” said Khun Chan Khe. The PNO plans to compete mainly in the Pa-O self-administered zone, as stipulated in the junta drawn 2008 constitution: Panglawng, Hopong and Hsihseng townships. On the other hand, it was reported to have been helping the USDP in canvassing support in Taunggyi and Loilem townships. Due to its cooperation with USDP, it has been dubbed as one of the USDP’s proxy parties. Apart from it, Kokang Democracy and Unity Party (KDUP), Wa Democratic Party (WDP) and TNP (Ta-ang National Party) in Shan State North and Lahu National Development Party (LNDP) in Shan State East have also been named as USDP’s proxy parties.